We require a High School Diploma or GED, good physical health, good mechanical ability, the ability to swim, and a strong desire to work hard. We will train you in everything else. You can find a complete list of requirements here. How will my age affect my employment? 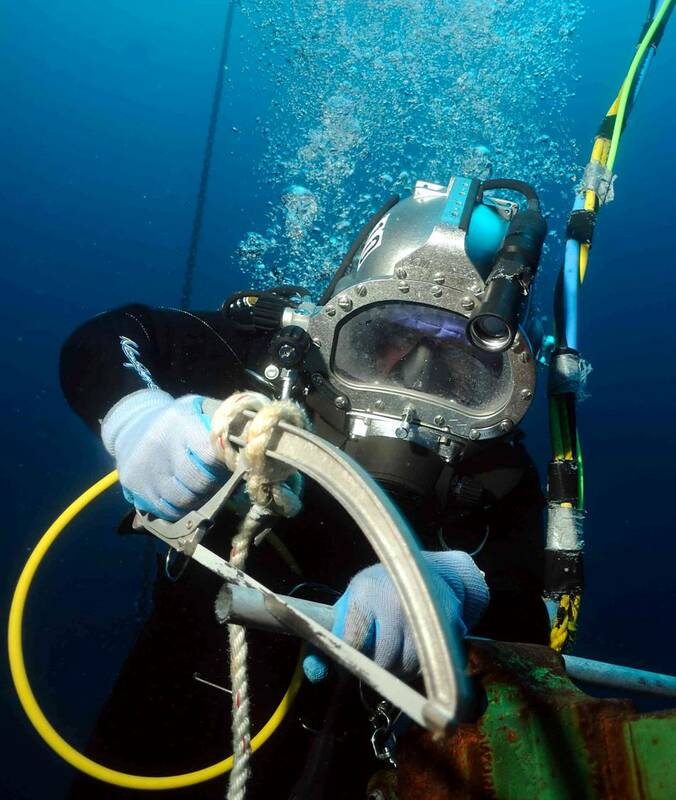 Although there is no defined age limit to become a commercial diver, the industry is looking for younger men and women (18-38) for employment, especially in the offshore arena. There are opportunities in the inland market for divers who are in good physical health well into their forties, but you are going to have to prove that you are capable. We offer career placement assistance and personnel from both the offshore and inland dive companies visit the CDA to recruit our graduates. Since CDA has a full-time Placement Officer, our placement rates are among the best in the industry. What income should I expect to earn as a diver? The range for an entry level offshore tender/diver is approximately $45,000 to $60,000. Offshore divers with 3-5 years of experience can expect to earn approximately $75,000 to $150,000, depending on their diving history and skill level. The range for an entry level Inland/Coastal diver is approximately $40,000 to $50,000. Inland/Coastal divers with 3-5 years of experience can expect to earn approximately $70,000 to $80,000, depending on their diving history and skill level. How do I become an underwater welder? CDA prepares its graduates with the skills, knowledge, and understanding of welding expected for commercial divers. The Air Mixed Gas Commercial Diver Program does not qualify a student to become an underwater welding specialist. Additional training is required for certification. 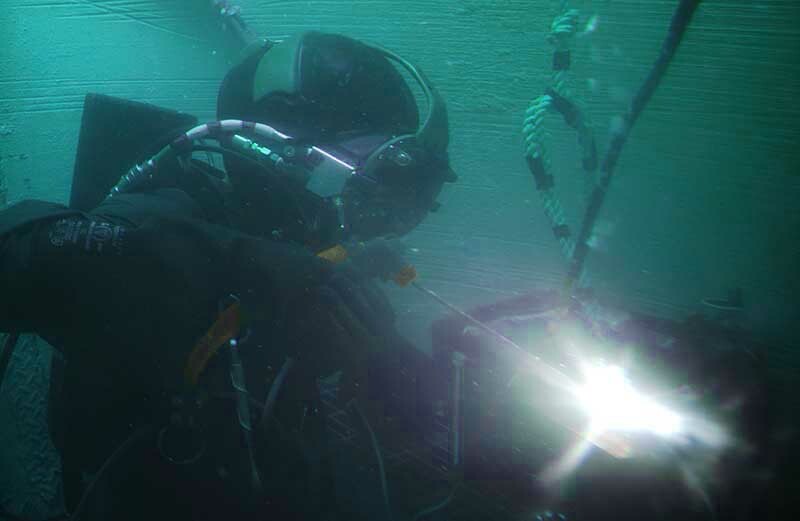 It should be known that underwater welding only represents 5-10% of the tasks a commercial diver will be expected to perform and is not a stand-alone career. Contrary to what other commercial diving programs may state, an individual career as an underwater welder does not exist in the industry. CDA’s Air/Mixed Gas Commercial Diver Program fully prepares you to become a successful commercial diver for any company and for all tasks you may face. Do you offer campus tours? Yes, we conduct tours Monday, Wednesday, and Friday at 9:00 am. Special consideration may be provided to accommodate those who are not available during those times. Please contact the school in advance to schedule the tour. Local hotel information is available here. Yes, we are authorized to accept federal financial aid, including the Pell Grant, Stafford loans, and the Parent Plus loan (for dependent students). Private, credit-based loans are also available. Can I use the GI Bill®? The Post 9/11 GI Bill® pays qualified veterans up to $23,500.00 for tuition, plus a basic allowance for housing per month and up to $1,000 a year for books. The amount for tuition and monthly housing allowance are prorated based on veterans' eligibility according to the table on the Financial Aid page. The Montgomery GI Bill® will pay you up to: $1,994.00 a month while in school. It takes 30 to 60 day for the VA to process these benefit once the student starts school. How can I pay my bills while I attend school? Most of our students do not work while in school, so they borrow additional funds through the Smart Option loan to cover personal expenses.